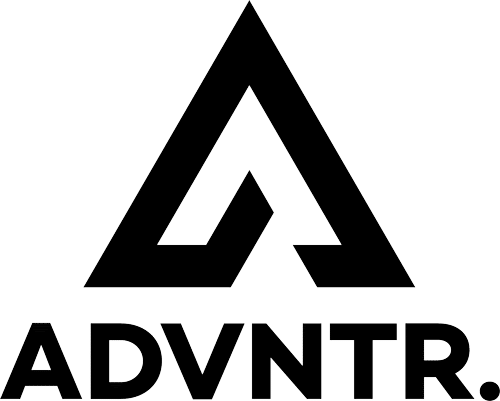 Altura Nightvision Thunderstorm Jacket - ADVNTR. 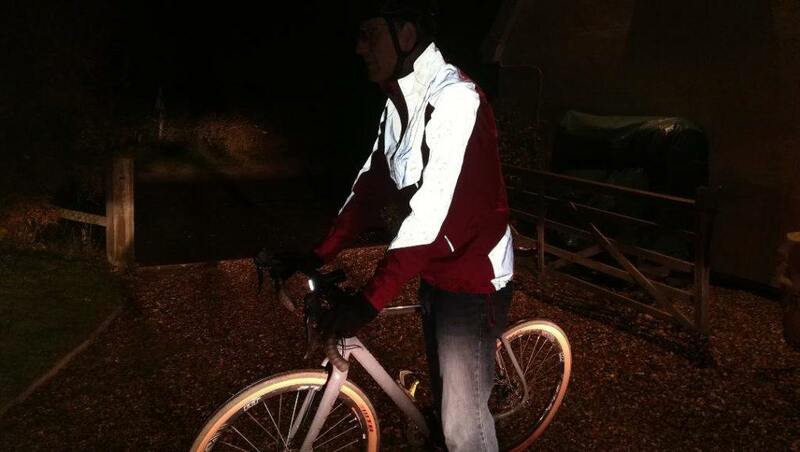 The Nightvision Thunderstorm Jacket is Altura’s top of the range waterproof jacket. Targeted at the commuter market (it is part of their “Urban” range), I think it has a far wider appeal. This is a well thought out and executed waterproof jacket. It has a wide range of potential applications both on and off the bike. So, ignore the “urban” tag and consider this garment on its merits. 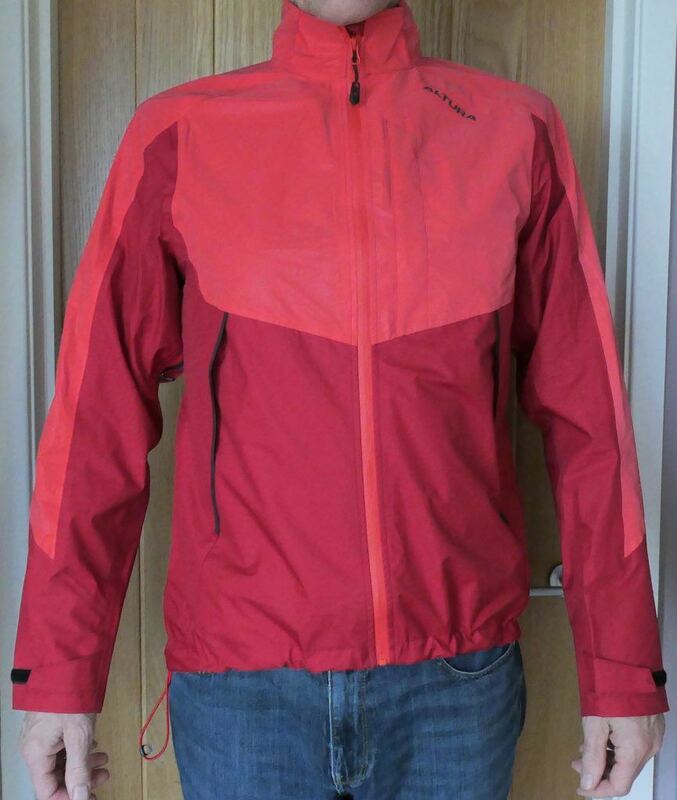 While it is undoubtedly a jacket for use on a bike, it doesn’t scream “Cyclist”. I would be happy to wear this while walking the dog (if I still had one) or simply strolling down to the pub in the rain. The total absence of pavement, or street lights, between my house and the nearest pub means that some form of torch and maybe reflective outerwear is critical. 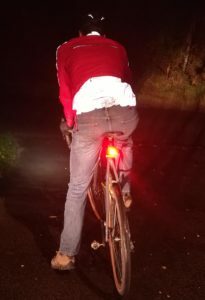 Whatever the lighting situation where you live, being as visible as possible is eminently sensible whether on or off the bike. 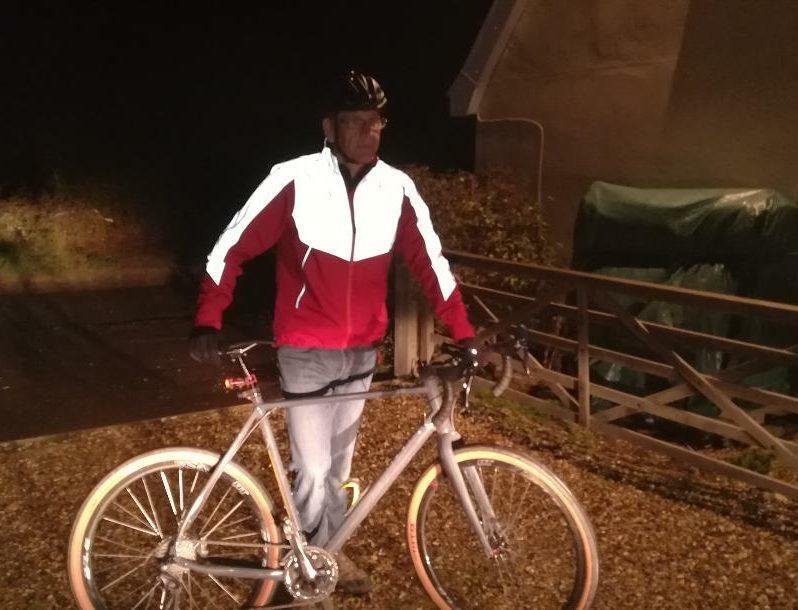 Apart from keeping the wind and rain out, this jacket is about as reflective as you can get. This has to be a good thing! Just off down the pub! Do not entertain ideas of this garment packing down small and fitting in your jersey pocket. You haven’t got a hope. But that would be missing the point. You know when you want to ride your bike but the rain has set in? You look at the forecast and there is no let up for days? This is when you need the Nightvision Thunderstorm jacket. 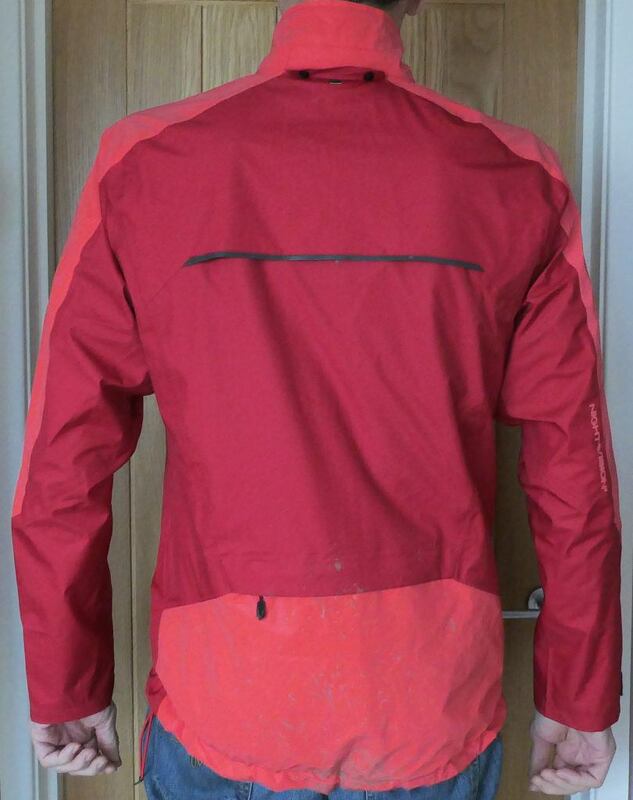 The jacket is available in Charcoal, Red, Teal and a Blue/Hi Viz Yellow combination. Sizes range from XS to 2XL. At a sniff under 6 foot 4, with a 42 inch chest and a 34 inch waist I come out as “Large”. The appropriately sized jacket fitted well. The body is a good length and the sleeves come down to a little below my wrists. Do not expect a ‘race’ fit. With commuting duties high on the design agenda the fit is ‘relaxed’. Don’t let this put you off. You might not pull this jacket on if you are racing but it isn’t a baggy parachute. I have used it for slow and fast rides. It doesn’t flap about or hold you up. 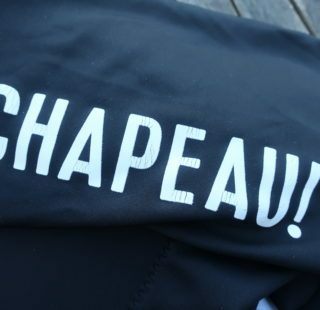 Out on the bike, wearing a base layer and a mid weight cycling shirt, the jacket fitted me well. If you are going to use it mainly for commuting duties, I recommend trying one on before you buy it. Make sure you are wearing the clothes you would normally commute in. You might need to size up. One criticism with the fit. I found it a little tight across the back (from armpit to armpit). It was nothing major but it meant there was a tendency for the sleeves to pull up a couple of inches while riding. This may simply be a feature of my physiology but there it is. A simple solution is to make sure your gloves are long enough to cover your wrists. At the back, the jacket has a ‘scooped’ tail. This is a little too subtle for my liking. A dropped tail would probably keep the dreaded ‘soggy bottom. at bay rather better. Where do you start? I think the best idea is to simply reproduce Altura’s list and go from there. As mentioned previously, this jacket is not packable in any sense of the word. This is down to the fabric used. “Heavy Duty” would give the wrong impression, I prefer to think of it as rugged or durable. Would I be happy to wear this jacket on a gnarly, bramble infested, mountain bike ride? If so, would it be reasonable to expect to emerge in one piece? The answer has to be an unequivocal yes. Short of being impaled by a sharp stick, I am confident the fabric will shrug off any attempts at vegetative intrusion! 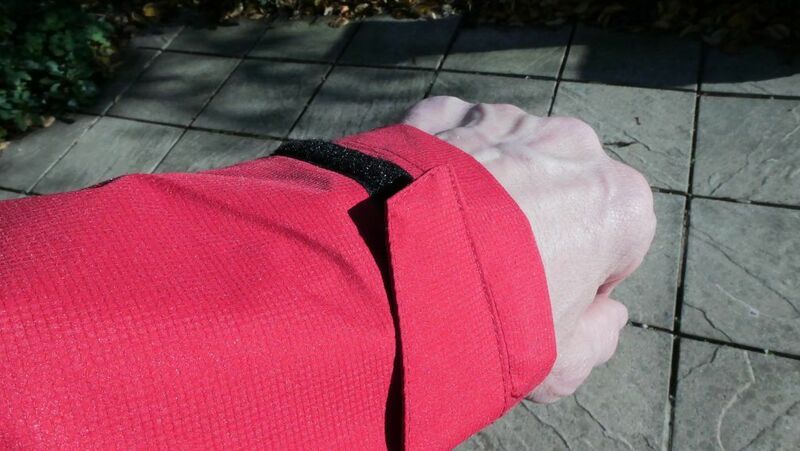 Far too often, weatherproof garments are let down by the collar. There is a tendency for them to be too low or too baggy. Either way, cold air and wet usually creep in and the result is a form of soggy misery. The collar on this jacket is a good height and proved adept at repelling draughts and damp. But…I was not entirely happy. 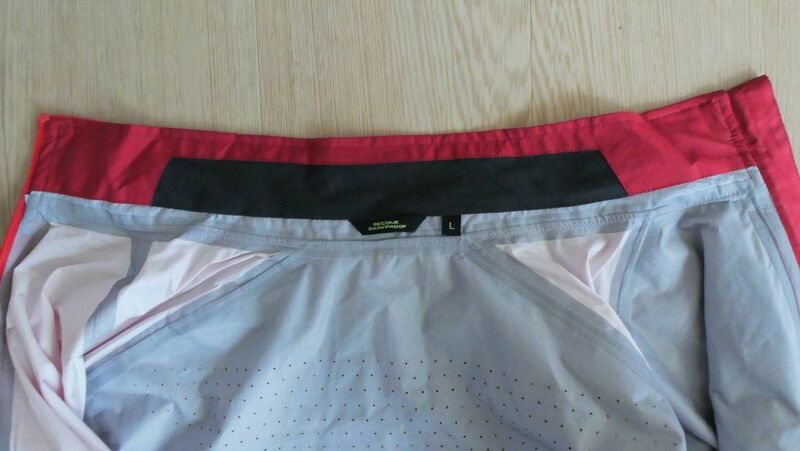 It has a small section of lining (see illustration) for comfort. But it really needs to extend across the whole collar. I found the material too scratchy to have it done up fully. To stop my neck from being rubbed and to block the wind and rain, I used a buff. A simple fix but sometimes a buff can be too much. A minor issue and one that you will probably find your own solution to. Yes, there is a hood. It is large enough to fit over a helmet. I am not a ‘hood’ kind of person and luckily it is easily detachable. Secured by twin poppers and some velcro, it is a matter of seconds to take it off. Likewise, it is easy to reattach. If hoods are your thing, this one will be fine. The velcro attachments are neatly hidden away in ‘garages’ so they are not going to irritate you if you eschew the hood. Can you see me from space? A final comment. The hood is reflective. If you wear it, you will probably be visible from space! Not exactly the height of sartorial elegance but spot on from a safety perspective. I think that practically every waterproof jacket I have owned has extra ventilation vents which start around the armpit and descend vertically towards the waist. The effectiveness of this design has always seemed somewhat nebulous to me as heat and moisture regulation has proved difficult to master. On this jacket, the ventilation ran from the armpit, on the underside of the arm, towards the elbow. I was pleasantly surprised that they worked so well. On dropping the zips I could immediately feel air movement across my torso and was therefore able to manage heat build up far better. The ‘exhaust’ for all this air is via two, large, air vents at the back of the jacket. This combination seems to be effective as I have, thus far, managed to keep the dreaded ‘boil in the bag’ feeling at bay. 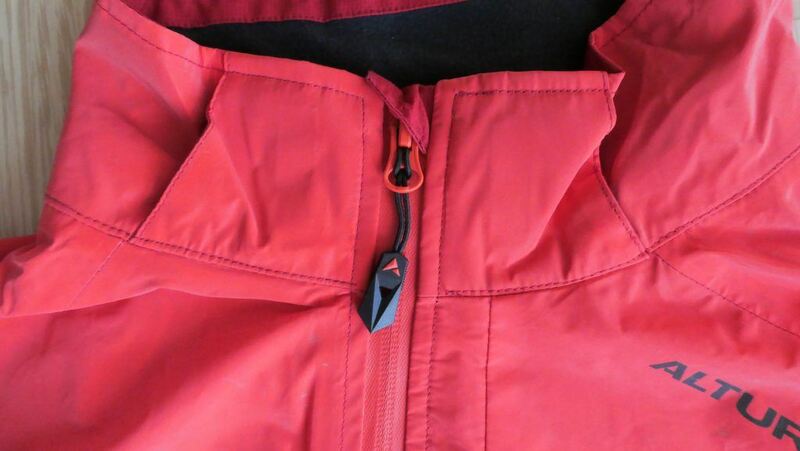 There are three pockets on the front of the jacket and one to the rear. From the top, first is the strategically placed ‘chest’ pocket. It is easily accessible on the fly and is large enough to be useful. I usually keep my phone in here if only so I can hear the Komoot Lady talking to me as I ride along. There are two, large, pockets around the midriff. I haven’t used them as I hate having things bumping around there when I ride. Having said that, they will take your phone, wallet and a host of other things should you wear the jacket down the pub. There is only one word for the rear pocket…cavernous. I was amazed at the amount of stuff I could cram into it. Once I had explored this feature to its fullest extent I had to unload it again. It was too full to be practical for training rides. I have a real issue with zips, particularly on lightweight garments. They always fail one way or another which is highly frustrating. I was pleased to see Altura have specced robust (looking) zips. I have yet to kill any of them on this jacket so a thumbs up to Altura! All of the zips come equipped with large tags. 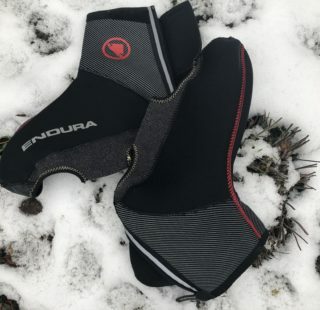 These have proved easy to use in the dark, wet and cold, even with winter gloves. Furthermore, I have yet to get any of them caught up in storm flaps. There are large velcro tabs on the cuffs. They are easy to use with and without gloves. In many respects, this jacket is all about safety. You don’t need to have ridden a bike for long to realise that the more visible you are, the safer you feel. Many companies make derisory, half hearted, attempts to deal with the issue of visibility. A phrase you come across far too often is “reflective detailing”. Usually this means small sections of reflective piping that no one is ever going to see. ‘Nightvision’ is Altura’s take on the challenge of making you visible in the dark. 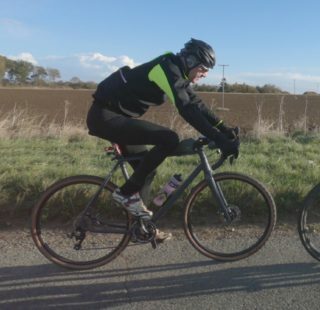 Forget reflective detailing, Altura use great slabs of reflective material. 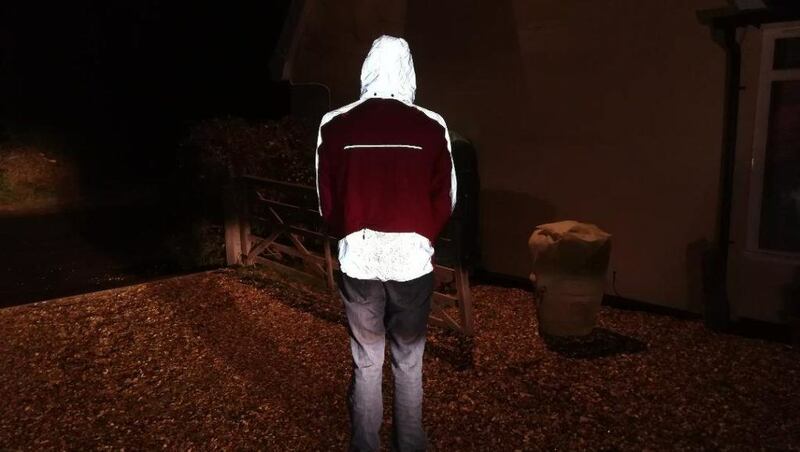 The whole ‘pocket area’ at the back of the jacket is reflective and is almost bright enough to be like a light shining back at you. To the front, there are panels on the top half of the jacket and across the shoulders, extending down the arms to the elbows. So, the result is 360 degree visibility. 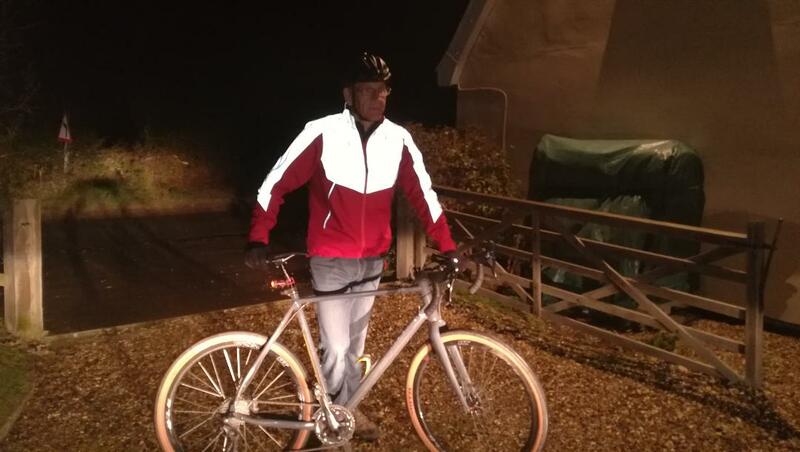 It is so effective that my wife tries to make me wear the jacket every time I go out riding at night, even if it isn’t raining and is patently too warm! She doesn’t always succeed but if it makes her think I am lit up like a belisha beacon, that’s all that matters. Despite all this attention to detail, Altura have missed one thing. There is no reflective material on the forearms so, when you are signalling left or right, there is nothing to warn drivers. In towns or cities this may not be a big deal, but in rural Suffolk where the nearest streetlight might be miles away, it really matters. Altura really are an underrated company. From what I have seen of their current range, they are every bit as good as many, more expensive, products. 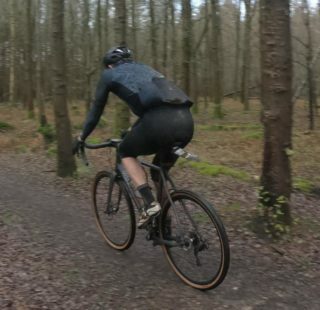 As a multi use waterproof jacket, the Nightvision Thunderstorm should prove effective and long lasting whether you use it for commuting, mountain biking or simply walking down to the pub in the rain. 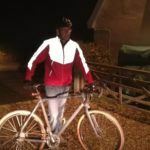 The additional visibility afforded by the reflective material is a bonus.